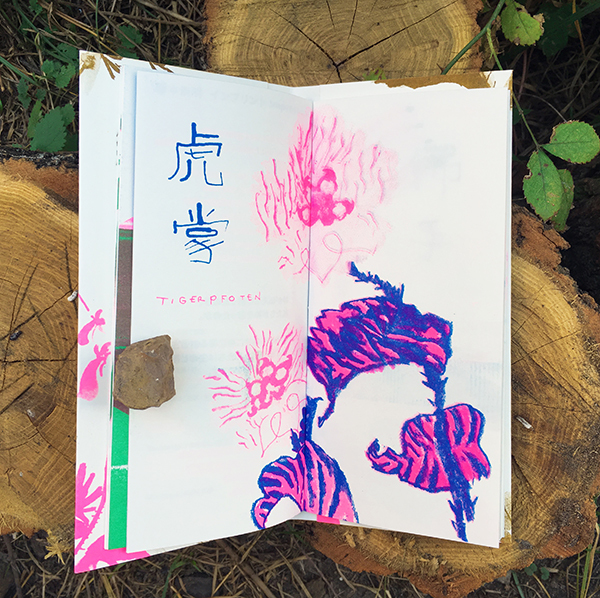 Limited Artist Edition of 50 pieces. 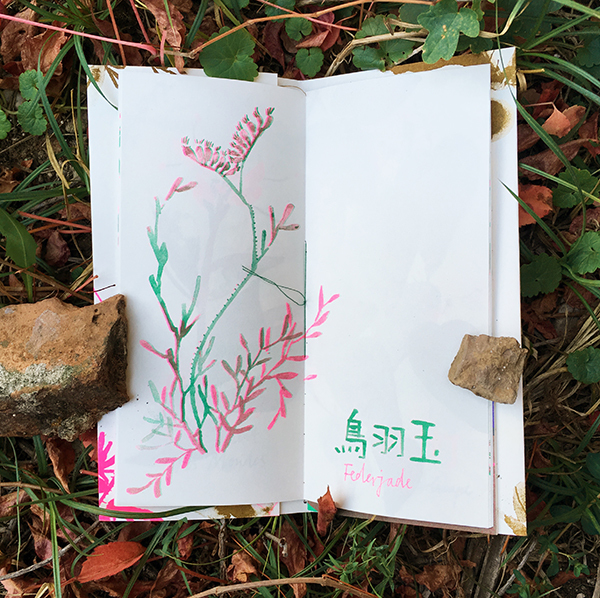 Prize: 20 Euro. 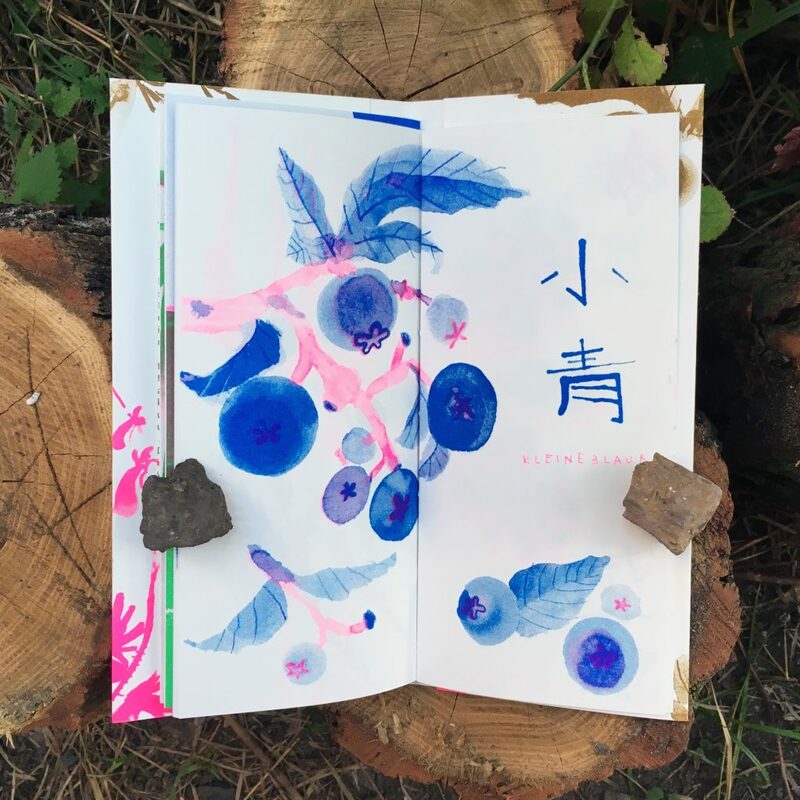 Together with the Japanese illustration artist Maki Shimizu 清水麻纪, Yi Meng Wu 吴祎萌 has started a plant drawing project: the Japanese artist gave the Chinese artist mysterious plant names from Japan and vice versa. 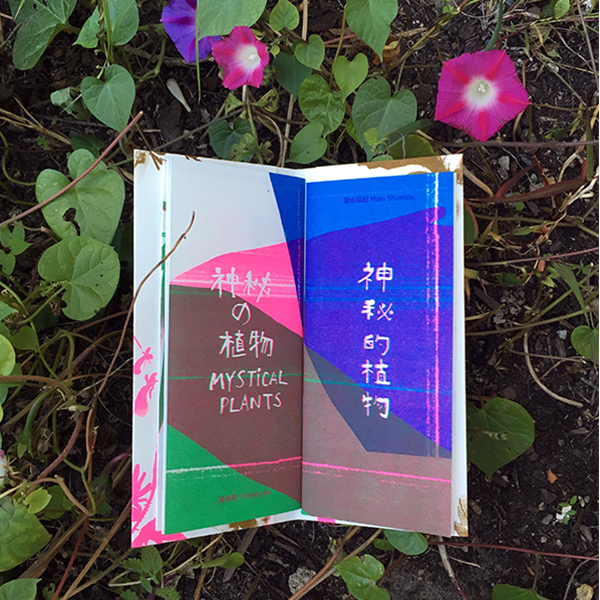 Many strange plants have evolved from their imagination, forming a cultural and linguistic dialogue between Japan and China. 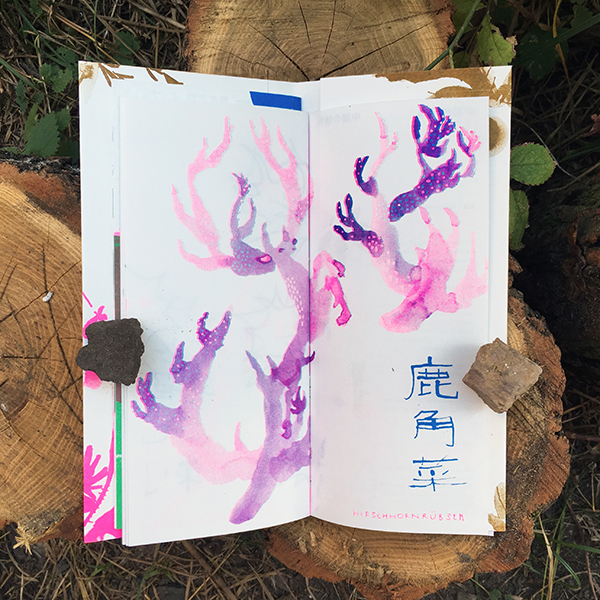 The books are printed on high-quality biotope 130g paper in the MELOMELO Riso Print workshop of Maki Shimizu and Thomas Monses. 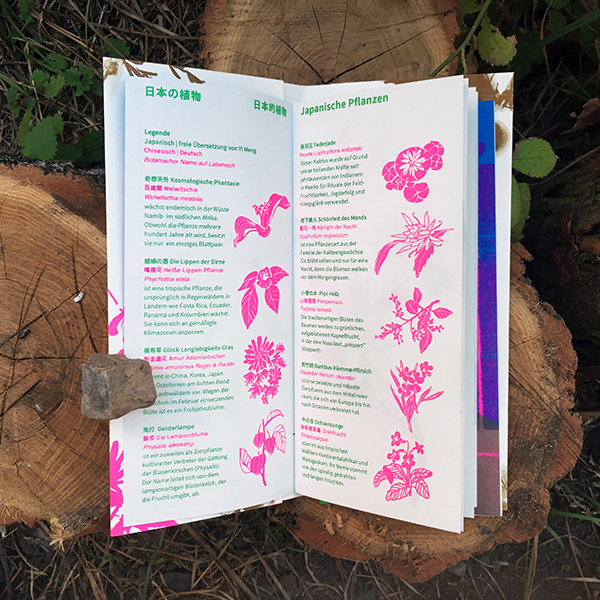 Each copy is hand-bound – 100% Made in Berlin with Heart. 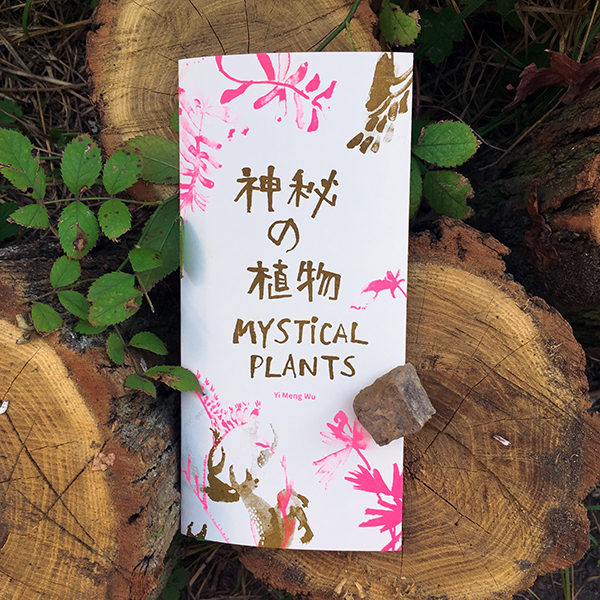 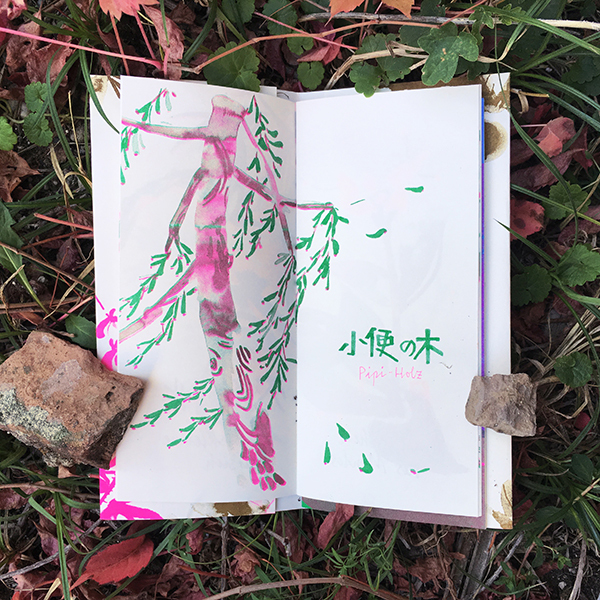 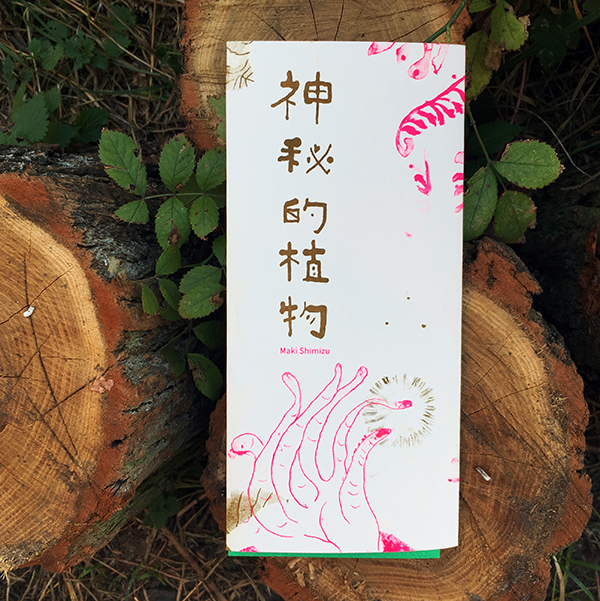 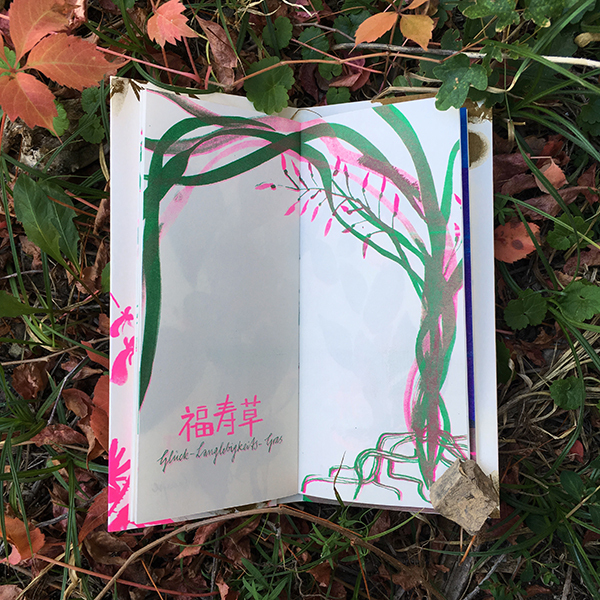 The book consists of two booklets, which come together through an envelope cover: in one booklet you can find Japanese fantasy plants, drawn by Yi Meng Wu and in the second book are Chinese fantasy plants, drawn by Maki Shimizu.